I’d sort of learned this living on a quarter acre in a subdivision, but living on several acres only exacerbates the problem. The yard needs to be mowed. The pastures need to be dragged. The weeds springing up in the gravel by the barn need to be sprayed (or burned, at this point). The trees need to be pruned. Where did those dandelions come from? The barn is never as clean as you’d like it to be. My inner Pony Clubber cringes every time I see wisps of wind-blown hay in the corners of the barn or manure clinging stubbornly to the concrete. The reality is that I only have so many hours in the day, and some of them have to be spent driving, working, and sleeping. I usually choose to spend my free time riding, which means that sometimes my barn looks grubby. A good weather app is your new best friend. What direction is the wind going to be coming out of tonight? Better shut the appropriate barn door, or those saddle pads drying on the wash rack will get blown away. Are tornadoes in the forecast? Time to lock the horses in their stalls so they don’t get struck by flying debris. Is it going to be super cold? Turn off the water so the pipes don’t burst (again). It’s a little easier now that it’s just hot 100% of the time, but I still check my weather app every day, just in case I need to prepare for a freak storm or 60 mile-an-hour wind gusts. There’s no shortage of ‘projects’. New fencing for the sacrifice paddock. Doing…anything with the barn porch. Building jumps. Replacing the sink in the barn bathroom. Adding gravel screenings to level out the stall floors. These are all on my “to do” list, which gets longer every day. Sometimes, I get overwhelmed by all the things I need to do, but most of the time it’s exciting to think about making improvements (and it feels gratifying when things are checked off the list)! One of the reasons such a small property works for Johnny and me is my neighbor. We live next door to the boarding barn where Moe and Gina have lived for the last few years. I have access to the barn’s arenas, which is a huge plus- I didn’t have to build my own, which would have been expensive and taken up valuable space. But more importantly, my neighbor and I help each other out. She’s willing to feed for me when I’m out of town or hold the horses for the farrier. She lets me know if they’re acting strangely, or if there’s a problem with my fence or barn. I’ll feed her horses and boarders when she’s on vacation or needs to be somewhere early in the morning. We encourage one another in our riding goals and hack together often. It’s such a good feeling to know I have a friend I can count on right next door! definitely sounds like a big change in lifestyle! i have so much respect for the folks out there keeping their horses at home under their own care – it’s a lot of work! at this point in my life, boarding is very much the better option. but i can totally see the allure of being able to look out the window at my own ponies! Yes, the maintenance is endless and you have to let some stuff go to have more time to ride and do non farm stuff. That said, it’s pretty awesome to have your horses in your backyard, see them grazing through your kitchen window, and it is a different kind of closeness with them. You are very lucky to have the neighbor with the arenas and reciprocal feeding privileges. I am jealous! I am VERY grateful for my neighbor! She’s awesome! Your barn looks very clean to me! In that photo at least. If you’re willing, I would love to see a post comparing costs of home care/acreage maintenance to boarding. That’s something I can definitely do! I’ve been meaning to really take a look at how the expenditures I’ve been tracking are adding up. Super lucky to have the support of your neighbor. That makes a big difference. A lot of what you listed is why Kyle and I didnt end up with a farm. My neighbor is really what sold the property; otherwise, we’d have been looking for something much larger and would probably go out of town less frequently, ha! I love hearing about situations like this because I have 0 knowledge about keeping horses at home and hope to do it one day in the distant future. I enjoy having them at home! I always liked it as a kid and young adult, and it’s nice now (even if the gravel weeds have taken over my life). Having your old boarding barn right next door is amazing. I’m a little jealous to be honest! I do have a couple boarding barns on my road though, and it’s comforting knowing there are other horse people around if I have an emergency of some sort. I’m spoiled in that I have a landscaper come out and take care of the yard, though currently they’re terrible and I might as well be doing it myself. But fences are always breaking, and projects are constantly sprouting up, so i can totally relate there! I think even I would be annoyed by constant bird crap. Ugh. I can totally relate to this. Especially the projects part. In the winter the weather app is even more valuable. In fact i check 3 different ones! BUT I love having them home. I cannot second all these things enough. I’m right there with ya, girl. The neighbor things sounds like the best part. 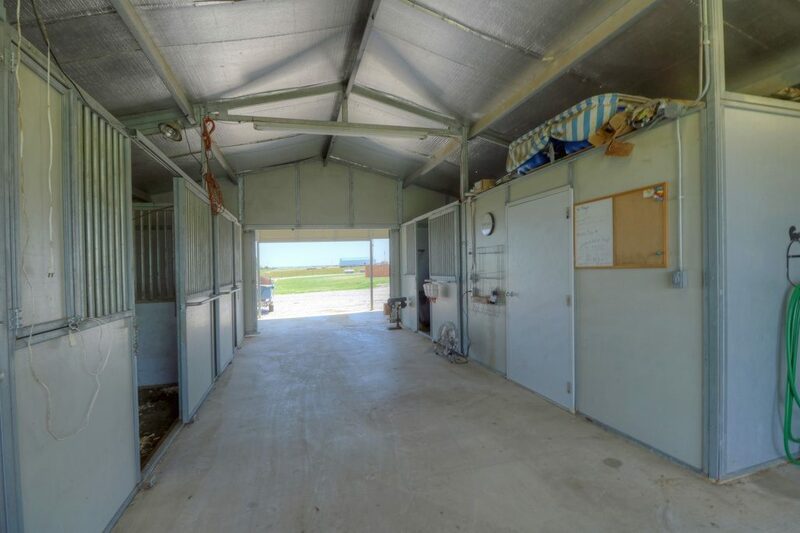 One of my hopes when we buy horse property is to buy one with a second house for renting out and find someone who wants free board in exchange for helping out. I don’t want to have to entirely give up traveling or having a life. Good neighbors would also work. I'm Stephanie, an eventer, foxhunter, and reluctant dressage queen living on a small farm with three horses, five cats, two dogs, and my husband.